What a lucky woman. First, she meets the Queen, now the pope. 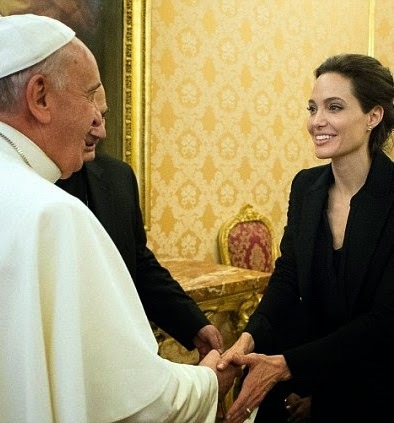 The star actress and mother of six met with the leader of the catholic Church Pope Francis today Jan 8th during a private meet-and-greet at the Vatican.